The hot border in our front garden at our home plot is looking good! Hot! Hot! Hot! The rich colours of fire dominate – yellows, oranges and reds with splashes of warm blues and the occasional white highlight. But without plenty of green to act as a foil and enrich the colours it would look less effective. But we still need more red at one end as we have a predominance of yellows. 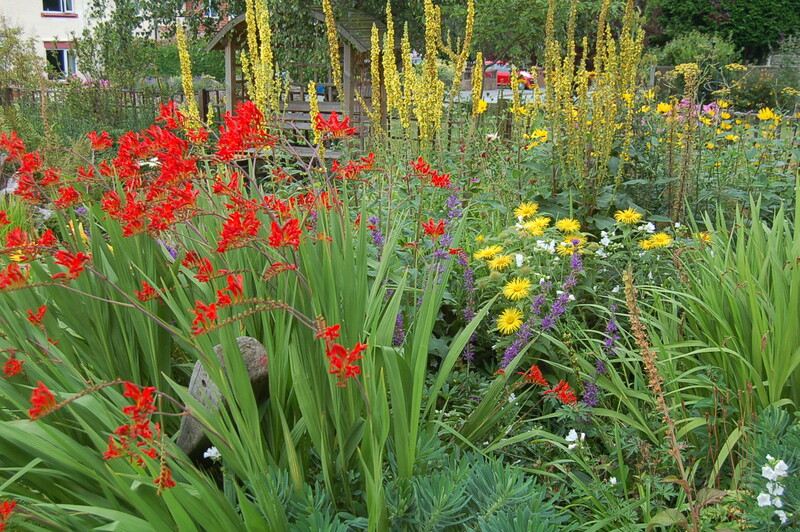 In the foreground in the first photo the deepest red of Crocosmia “Lucifer” dominates while spires of verbascum send their yellow flames into the air, while in the second photo it is the trumpets of a daylilly that blast through the red. 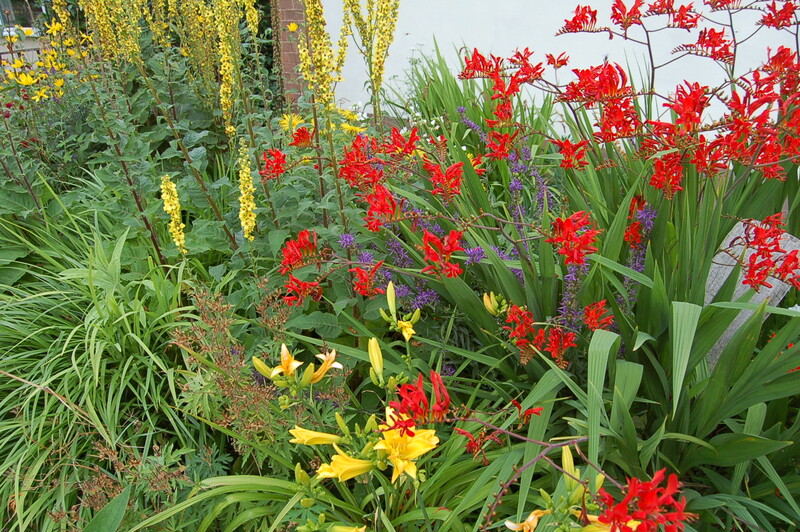 This entry was posted in gardening, hardy perennials and tagged gardening, hot borders. Bookmark the permalink.